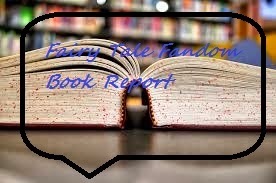 Fairy Tale Fandom: Fairy Tale Fandom Book Report: The Lunar Chronicles. Fairy Tale Fandom Book Report: The Lunar Chronicles. So, it’s pretty clear she’s one of us. That’s something that becomes pretty clear when you see how she approaches fairy tales. There have been many people who have retold fairy tales by placing them in different settings. Ms. Meyer is one of very few who have retold fairy tales in a setting that she had to create herself. The Lunar Chronicles take place in a technologically advanced future a few centuries ahead of where we are now. It’s a future that has endured another World War, which resulted in political lines being redrawn so dramatically that each continent has evolved into its own super-country (Asia has become The Eastern Commonwealth, North and South America have become The American Republic, etc.). It’s a world that has androids and cyborgs and is being threatened by a deadly plague called Letumosis. And then there are the Lunars. The Lunars are a race of people that developed from Earth expatriates who fled to the moon. Many of them are endowed with a Lunar “gift” that allows them to control the bioelectricity in people’s minds and bodies and control their thoughts and actions. The first book in the cycle is Cinder. Cinder is a take on “Cinderella”. Linh Cinder is a cyborg mechanic working and living in the city of New Beijing in the Eastern Commonwealth. As a cyborg, the Commonwealth treats her as a second-class citizen and property of her stepmother. Her only friends are a servant android named Iko and her stepsister Peony (her other stepsister Pearl, she’s not so close with). Her life follows its usual routine until one day Prince Kai comes to her shop to try and get one of the royal androids fixed. This starts a chain of events that changes everything in her life and everything she thought she knew about herself (and yes, there is a trip to a ball involved). The second book Scarlet is based on “Little Red Riding Hood”. Scarlet Benoit lives with her grandmother, a farmer and ex-military pilot, in the France region of Europe. One day, Scarlet’s grandmother disappears and the police can do nothing to help her. She decides to take matters into her own hands. Her only chance of finding her seems to lie with a mysterious street fighter called Wolf, who she finds herself inescapably drawn to. The third book, Cress, takes elements from Grimm’s “Rapunzel”. Cress is a Lunar shell, which means she was born without the ability to manipulate bioelectricity. She’s spent her whole life living on a satellite working as the Lunar Queen Levana’s official hacker, programmer and spy. However, she’d do anything to escape to Earth. She gets her chance when Cinder and her crew of outlaws, including American soldier turned thief Carswell Thorne (who Cress’s crushing on something fierce), comes to her rescue. Things don’t quite go as planned, though. I tried to give you the set up for each book without giving too much away. The best way to get into the world created for these books is to dive right into them with the first book Cinder. I think this series is one of the most interesting things being done with popular fairy tales lately. If I had to pick a favorite among them, Cinder is probably it. In the past, I’ve written off “Cinderella” and its various variants and retellings. I was one of those stories that never really impressed me. Marissa Meyer impressed me, though. She made me care about Cinder in a way I’ve never cared about other Cinderella analogues. While other “Cinderellas” may seem terribly passive, Cinder is clearly strong and brave but hampered by her situation. I wasn’t quite as impressed with Scarlet, but I tend to think “Little Red Riding Hood” has been done to death, especially in the young adult paranormal romance mold. There’s still a lot of good in that book, though. Cress was almost as good as Cinder. I especially liked how Thorne got some focus. I’m a sucker for scoundrel heroes. He does remind me a little bit of Flynn Rider from Disney’s Tangled but he also reminds me of Jack and various other “clever fool” heroes from folklore, so I’m willing to let any Disney-like qualities slide. This isn’t the end, though. A prequel entitled Fairest that focuses on the villain Queen Levana has been announced for a January 2015 release. Also, the final book in the series Winter based on “Snow White” is due out in November 2015. If you’re looking for fairy tale retellings that take these world famous tales to someplace vey new and different, you should definitely check out Marissa Meyer’s The Lunar Chronicles. Pretty much everything you said - YES! Ah, I recognise these books now! Haven't read them yet, though. Great post - now I'll have to check them out sometime!